Everyone preparing for a long-distance thru-hike seems obsessed with weight. I’m not talking about my weight, although I obsess about that all the time. Nope, I’m talking backpack weight. Thru-hikers talk about weight constantly. In fact, I decided there is no end to the talk about weight and how to lighten it. Let me lead you down the slippery slope. Base weight is the weight of your backpack fully loaded with all essentials except food and water. On the Appalachian Trail (AT), you need only about four to five days food at any time, so base weight is the usual question and it is followed by lots of discussion on how you could trim it down. Okay, so my stinky body will still want a lighter load on my back. Thus, the discussion moves to how to save 4-6 ounces with nifty ideas like leaving out the emergency space blanket or leaving sunscreen behind. Finally, you move into the truly obsessive zone, and if you are still part of the weight discussion it will turn to using the same soap for dishes as your hair to save a couple ounces on a bottle of shampoo, or drilling holes in handles of toothbrushes. Seriously? Yes, some people will do such things. Long before I looked for a drill bit to reduce the weight of my toothbrush handle, my obsession began to ebb. Poptart (aka MoneyBags) said, “You are either happy in camp, or you are happy on the trail” to help me understand the things we carry make time in camp more pleasant, and the things we leave out make hiking more pleasant. 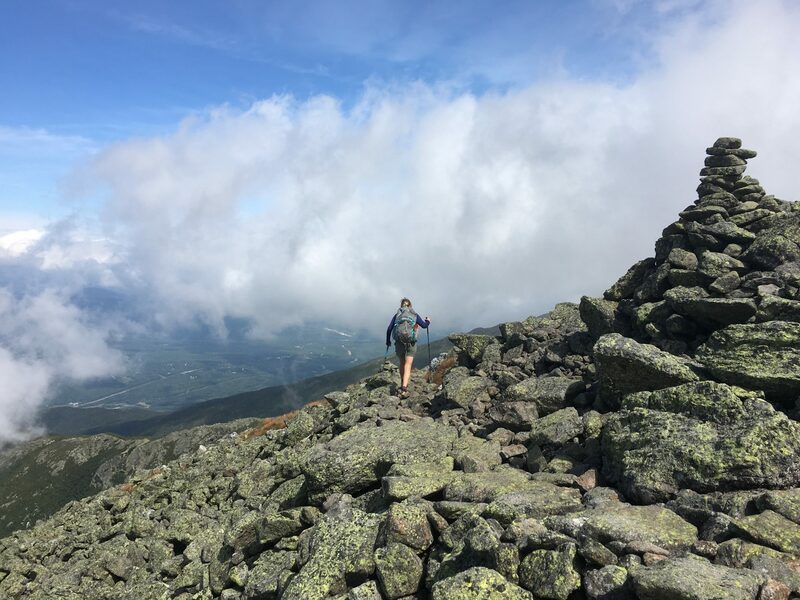 You can fret and research and talk about your choices and never really know what’s best until you actually start hiking – and there really is no “best” anyway. (I’ve noticed experienced thru-hikers change their mind from one hike to the next.) I finally stopped myself from constantly thinking about weight, and decided to just be happy with whatever it turned out to be. That worked for a few months. Now I’m three weeks from starting and decided to see if everything would fit into my backpack. It did …and while choosing and packing I decided to learn my base weight: 23 pounds. That’s heavy by today’s standards, but just fine by mine. Food and water will add about 11 pounds and I’ll start the AT with 34 pounds on my back. I’m certain my choices will change over time, but for the first time in a long time, I’m pretty excited about my weight!